Congratulations! You have passed your test! Now, after those months of hard work and studying, it’s time to put what you know into practice. Driving alone for the first time can be nerve-wracking, and its likely that it will take some time for you to feel fully confident driving by yourself without an instructor or another person to offer advice and guidance. 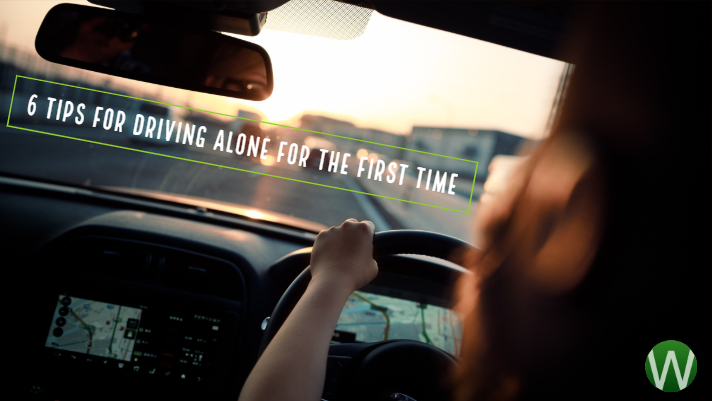 However, our experts at WDS in South West London know exactly how this feels, and have created a short guide on how best to handle driving solo for the first time. While you may feel nervous about your driving skills and ability, it is important not to panic. Driving isn’t new to you, and you have already undergone the required written and practical exams which make sure that you are safe to be driving on the roads alone. Therefore, remind yourself of the hours of driving lessons you have taken, as well as the feeling of confidence and elation you felt when you were told that you had passed – it takes skill to get that full driver’s licence, so if you weren’t ready for solo driving, then you wouldn’t have passed. When driving for the first time, you are going to be hyper-aware of everything that you do, and how you are controlling the car. As such, it is well worth avoiding adding additional unnecessary distractions into your first drive alone, such as trying to work out where you are going. Our experts always recommend that, as much as possible, you try and stick to routes you already know when driving for the first few times, which gives you additional confidence and allows you to position yourself geographically at all times. While it may sound obvious, it is vital that you check your seating position, and ensure that it is comfortable for you, as well as being situated so that you can see everything clearly. Once you have got a comfortable driving position, the actual driving itself will become easier. As well as removing distractions by knowing your route in advance, keeping the radio off will also help you to focus your mind on the road. While some people say that having background noise can help them to concentrate, we would really recommend that new drivers and those who are driving alone for the first time keep their attention solely on driving. Another fear people may have of driving by themselves for the first time is that they are completely in charge if something goes wrong. If you are planning on a long drive by yourself, then it may be comforting to ensure that everything is working. As such, you should check that none of your dashboard warning lights is on, your petrol is full and that you have a spare tyre, along with the knowledge of how to change it. In the unlikely event that you do run into trouble, you will want to contact someone for assistance. As such, it is vital that you have your mobile phone charged, and have numbers saved in your contacts list of who to get in touch with in an emergency. Not only will this give you reassurance, but it will also be extremely helpful if you ever run into problems.